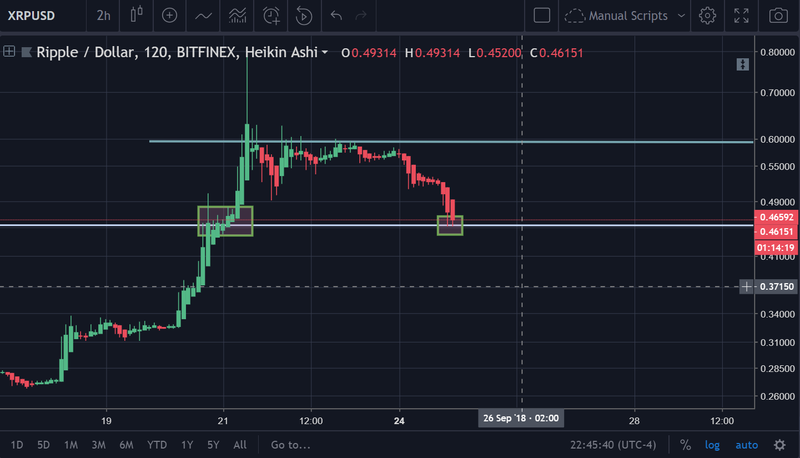 Given the wild and astronomic price increase for the $XRP token over the last few days, it seems more appropriate now more than it ever has been to cover its future price action. 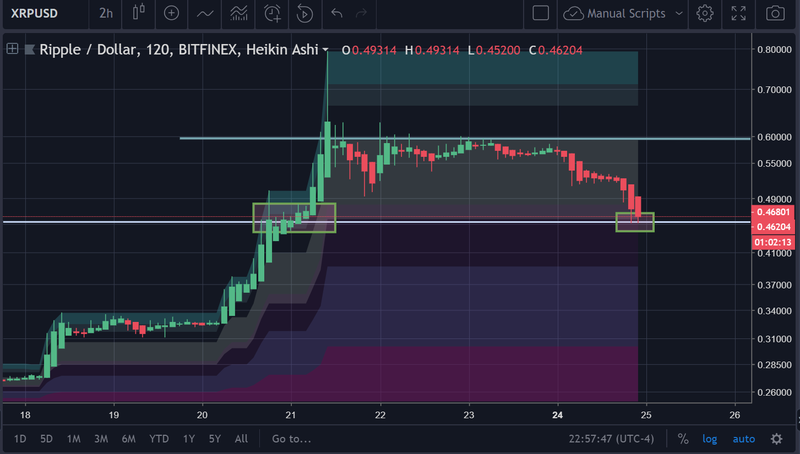 In the picture above, the lower support point was drawn days before based on $XRP’s prior price action on higher time frames when it was initially bursting through the seams. 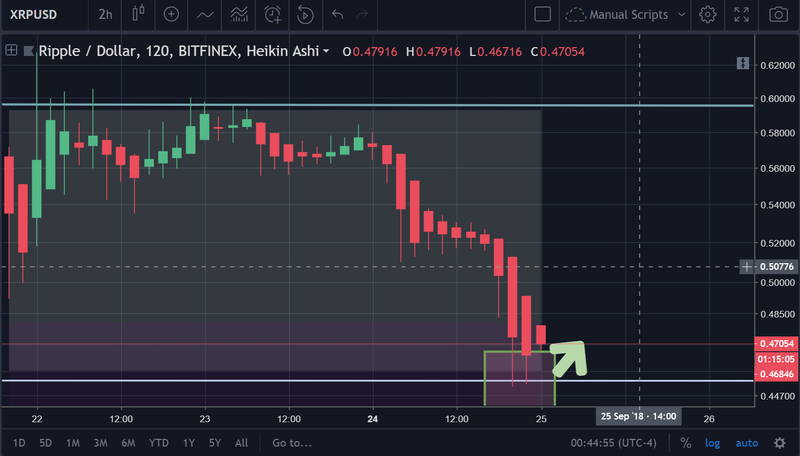 From what can be seen in the initial chart that was posted above, it appears as though the price is headed back to a re-test of 43 cents. This should come of no surprise after witnessing the bump and run pattern in its full fruition during the meteoric price rise of $XRP. Below is a readjusted version of $XRP. The moving fibs that you see here dictate that $XRP is also trading against a marked support point in that arena as well. Please make sure to keep in mind that this is the H2 time frame as well. The logical assumption is that the price will continue to ascend from the price point that it is at currently. 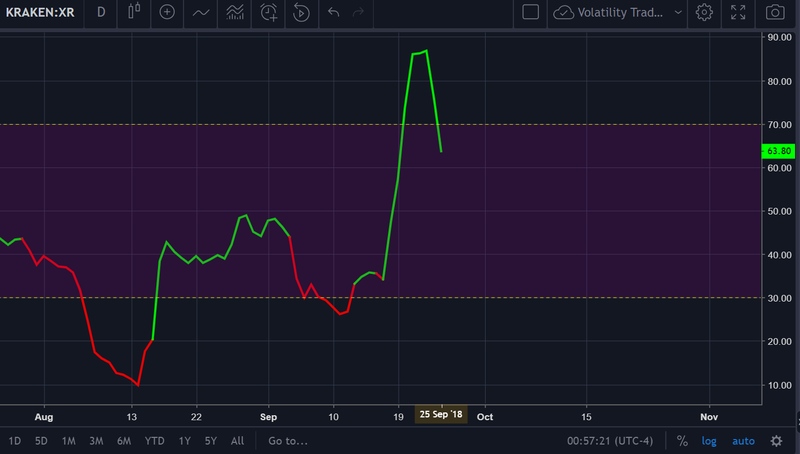 In the picture above, we can see that all of our oscillators are indicating oversold at this point on the H2. 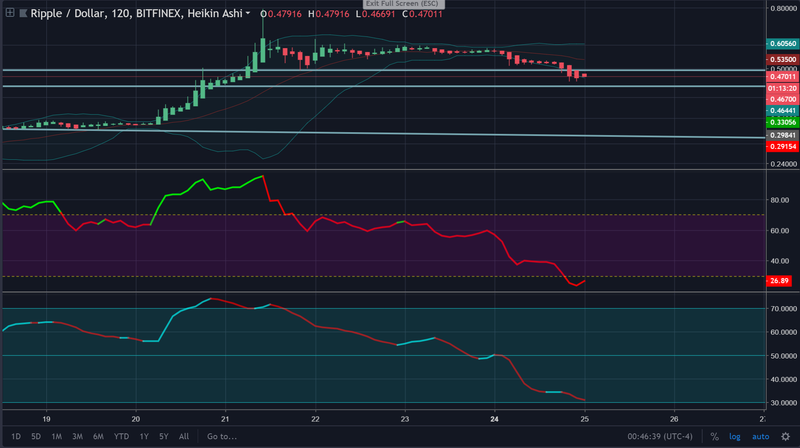 Another positive note for $XRP bulls is the fact that the price has successfully bounced off of the EMA-100 on the H2. Now, let’s check out the higher time frames to see how $XRP is behaving there as well. 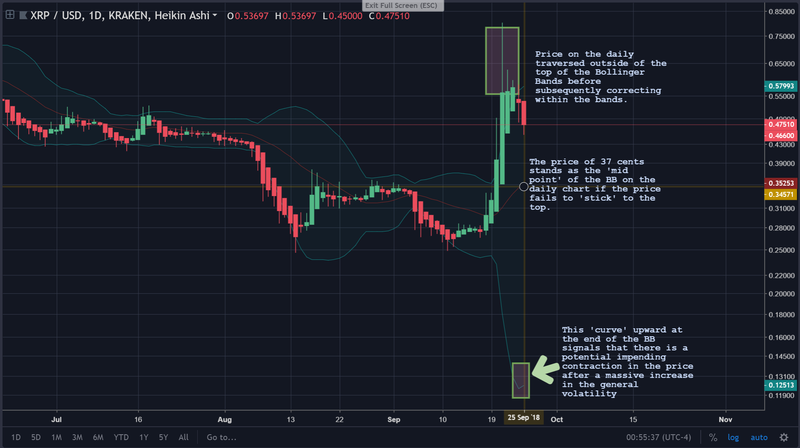 The above chart shows some notes about the current price action of $XRP. The RSI(14) was grossly overbought recently. So, there’s not much room for a continuation in the price action at this point. 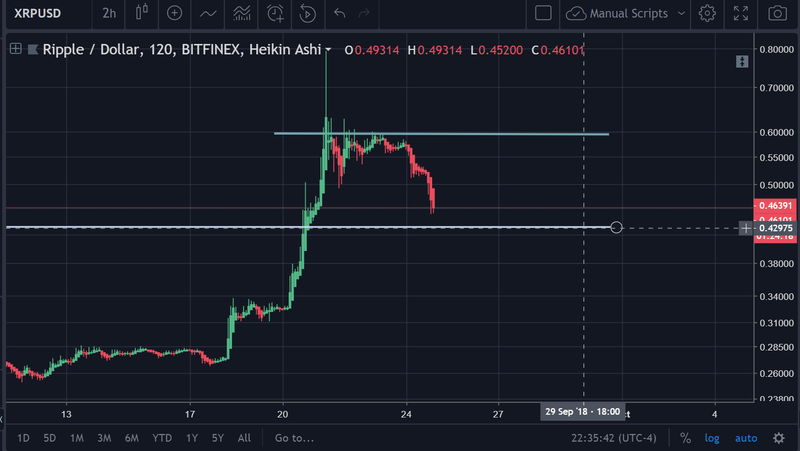 Typically, catalysts such as the one (whatever it was) that sent the price of $XRP flying through the roof die almost as quick as they came and they do not revive themselves unless there is something fundamentally different with the coin itself. Therefore, $XRP is in serious danger of correcting substantially further than what it has already. 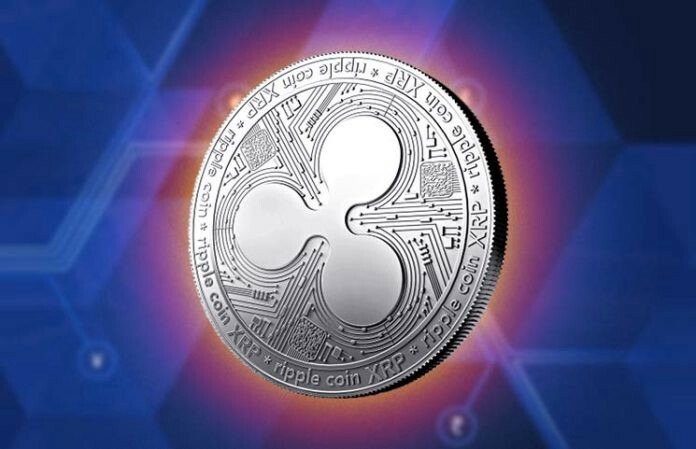 While the lower time frames were ambivalent, and potentially even signaled that there would be a slight ‘bounce’ — Chances are that the price of $XRP will be stifled by the already exhausted run and the fact that new buyers will not see as much of a potential ROI as there once was now that the price is already substantially overextended from where it was previously. There is no R/R that the author advocates specifically at this point.